Turquoise mines throughout the world have been producing these unique semi-precious turquoise gemstones for many years. Dating back to ancient times, stones were mined and used for adornment, jewelry and ceremonial purposes. One thing that really sets turquoise apart from other gemstones are the distinct characteristics of stones from different mines. 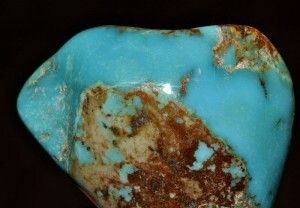 On this site, readers will learn about the history and turquoise gemstones from Southwest turquoise mines. We’ll also take a look at Chinese turquoise mines and go all the way back to ancient Egyptian culture with a look at Persian turquoise mines. Archeologists have found ancient mining sites all over the world, even right here in the Southwestern United States. Turquoise mines were being worked near what is now known as Kingman Arizona in ancient times by Native American tribes. While many Southwestern turquoise mines have closed, some mines are still producing and those varieties are among the most valuable on the market. There are still several mines operating in Arizona, Nevada, New Mexico and Colorado. The Ancient Egyptians also operated turquoise mines and adorned their kings in this semi-precious gemstone, which to them, was as valuable as gold. In the Far East, turquoise has been mined as long as history has been recorded. Historians believe China started trading turquoise with the Persians, but they also operated their own turquoise mines in what is now known as the Hubei province. Some mines are known for producing hard, high quality stones that can be polished and used in turquoise jewelry without the need for processing or stabilization and these stones are among the most valuable. Sleeping Beauty turquoise is a good example. However, most stones must go through some type of stabilization process before they are used in jewelry and art. Southwest turquoise mines produce some of the most beautiful examples of stones on the market today and they are becoming increasingly valuable as the supply dwindles and more mines close down operation. No matter where the turquoise gemstones come from, there are some fine examples of turquoise jewelry pieces being found all over the world. Copyright © The History of Turquoise Mines 2017. All Rights Reserved.